(Reuters) A demonstrator stands in silence for the second anniversary of the death of Egyptian Khaled Said over the Qasr El Nile bridge in Cairo June 6, 2012. Said, 28, was beaten to death by police in Alexandria in June 2010 with his body barely recognisable after he posted a video showing police officers sharing the spoils of a drugs bust, according to his family. The act of brutality galvanised further protests, in particular, the anti-torture Facebook page “We are Khaled Said”. 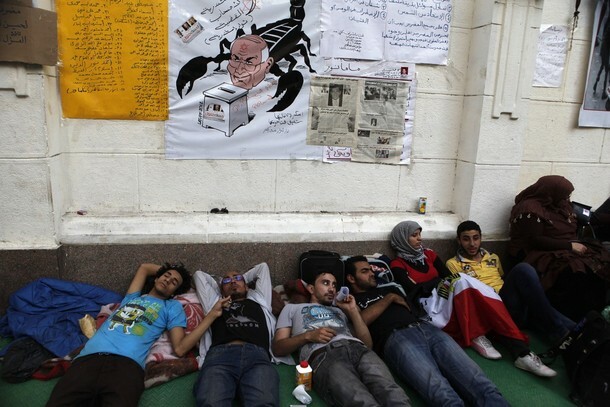 The page helped crystallize Egypt’s political movement which eventually toppled the regime of President Hosni Mubarak. 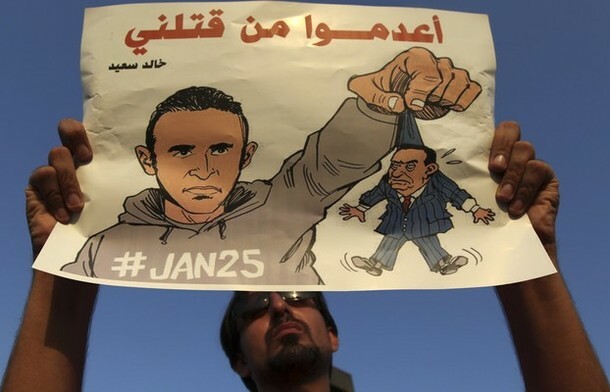 The sign reads “Executed from he who has killed me (mubarak)”.